The vendor has requested its particular company to keep the information and data of past or future manufacturing process, production methods and all the details of the products should be maintained confidentially. 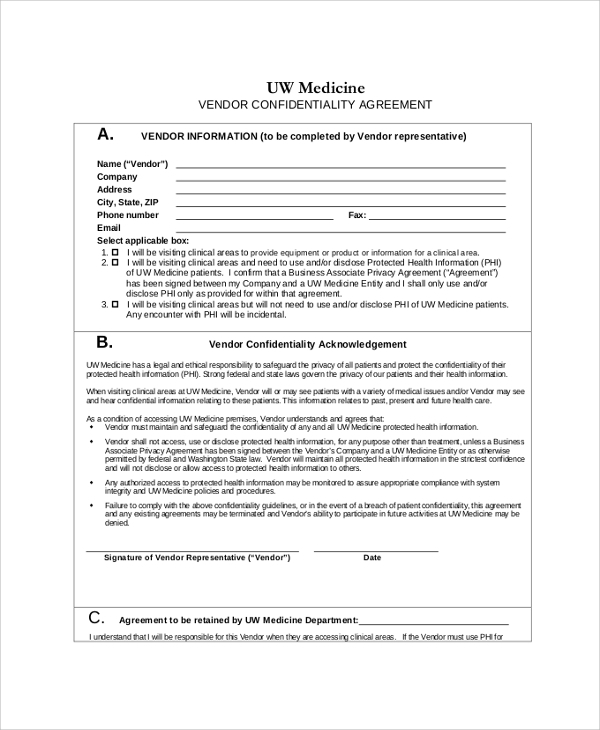 This kind of supplier agreement is very straightforward and simple. It was drafted mainly for use by an individual or firm or manufacturer who wishes to keep the information secret from another business unit or publicly. The template is featured with easy customization and editable. The bank has all the confidential details and information that should not be disclosed to anyone publicly. 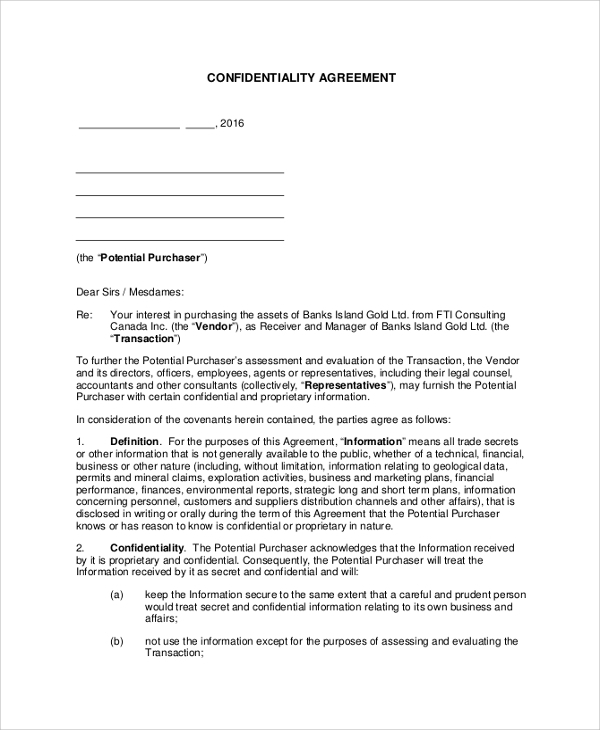 The agreement includes clauses that need to keep the details confidential such as bank account, amount, and their transactions. The template should consist of a well organised and folder with easy customization. 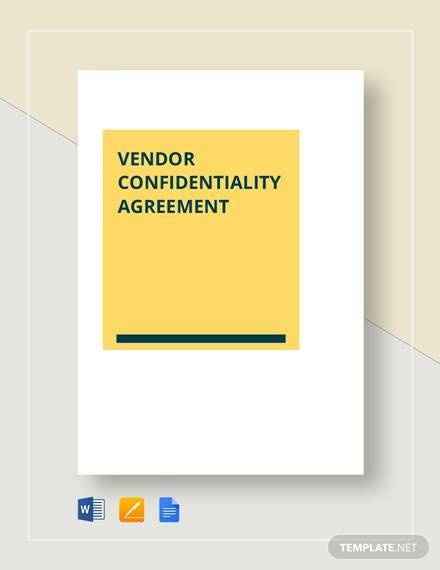 The vendor confidentiality agreement contains comprehensive traditional approach and includes all the points which the companies expect to be involved in the agreements. 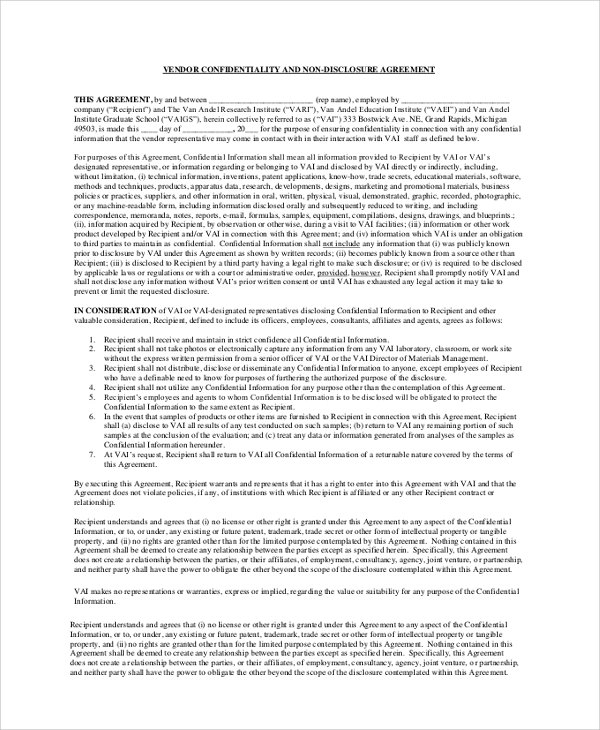 This agreement is appropriate for the individual or the established business unit in the situation where they are on the receivers side. 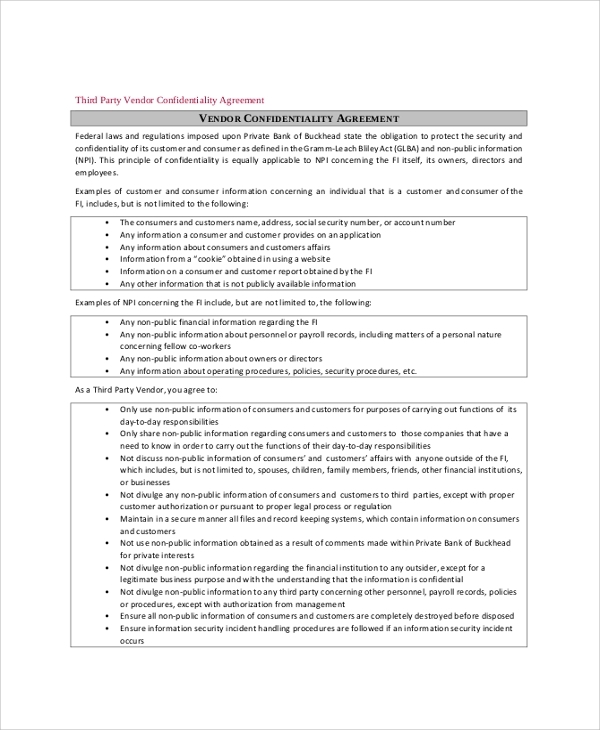 This vendor security agreement is also one type of traditional agreement, and it is the most commonly used provisions by the savvy individual and well-organized business unit. It would be appropriate for use when both parties wish to exchange confidential information. It helps to maintain the confidentiality of the information and data between vendor and the company. The agreement is necessary for carrying out any business transaction contemplated by Vendor and the particular company. 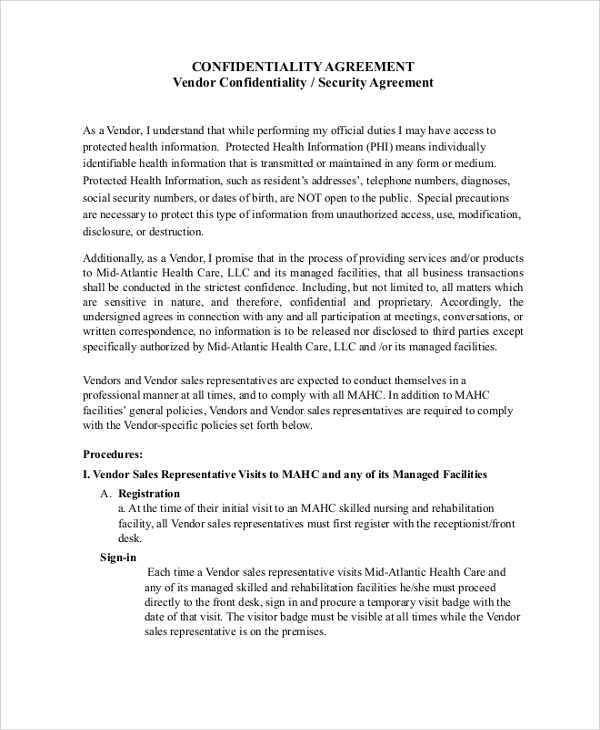 The confidentiality agreement is required between the vendor and the particular company to maintain the disclosure of a certain secret and information. 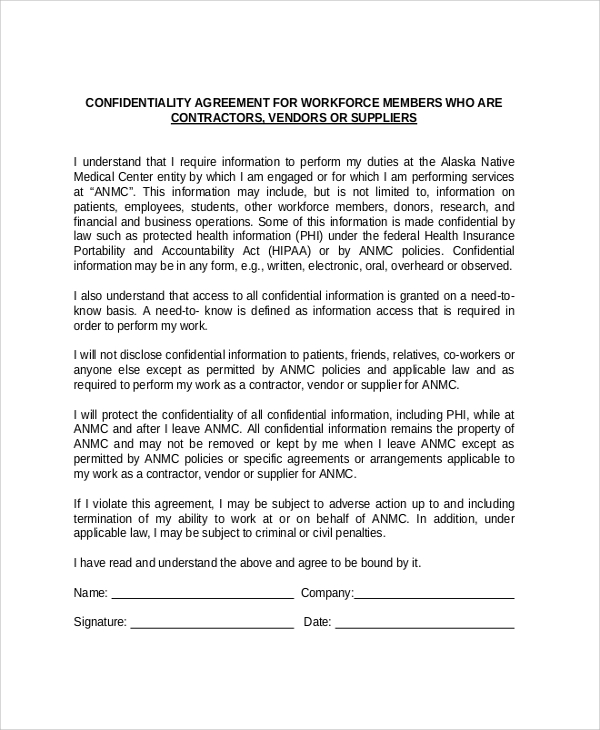 The agreement will provide the permission and abide the person who is capable of receiving such information. 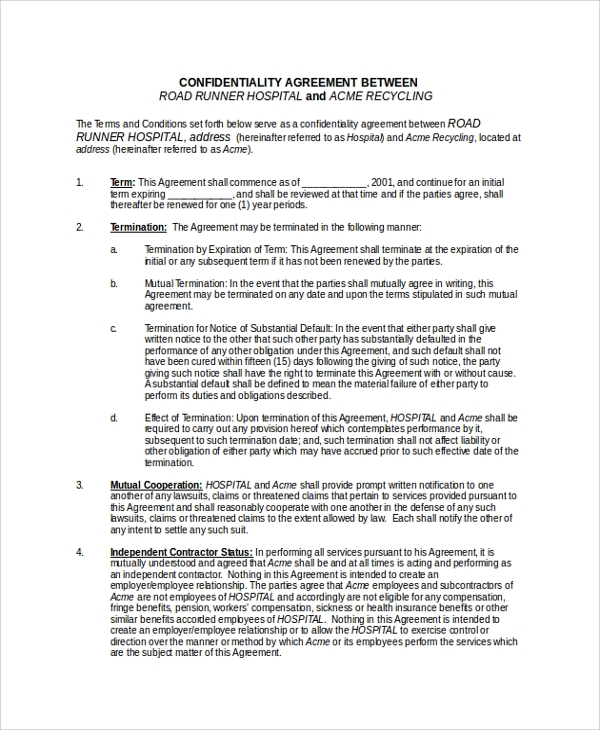 All the template of non-disclosure agreement template or confidentiality agreement template is capable of being made in both the type of format documents and PDF. All the documents are compatible with all the versions, and the templates are print ready and easily formatted and customizable. As we are customer oriented and your satisfaction is our priority so feel free to give any suggestion to us. We are always there to fulfil your requirements.